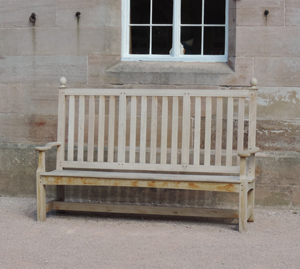 Sandy Felton visits Lowther Castle in Cumbria and talks to head gardener Martin Ogle about the garden’s progress and the new planting in the stable courtyard. There is a certain romanticism and mystery about Lowther Castle and its gardens that strikes you as soon as you see those majestic ruins towering over the Cumbrian skyline. It’s a place that has always fascinated me ever since I found it by accident when I was covering another story over 30 years ago. Today, to see the work and determination that is going into Lowther and the former gardens is heartwarming and I was delighted to have the opportunity to meet up with head gardener Martin Ogle and Charlotte Fairbairn in the newly planted and re-designed stable courtyard. Charlotte is researching the Lowther archives and has responsibility for their new guide book as well as the new recently opened exhibition on the Lowther family and castle’s history. Sitting in the stable courtyard used to be rather stark and austere. There was a feeling of intimidation from the surrounding castle ruins and it was perhaps not a place to feel you could linger once you came out of the excellent café area. Now, the transformation is stunning – a mix between an Italianate plaza and quintessential English – it feels comfortable yet looks majestic. 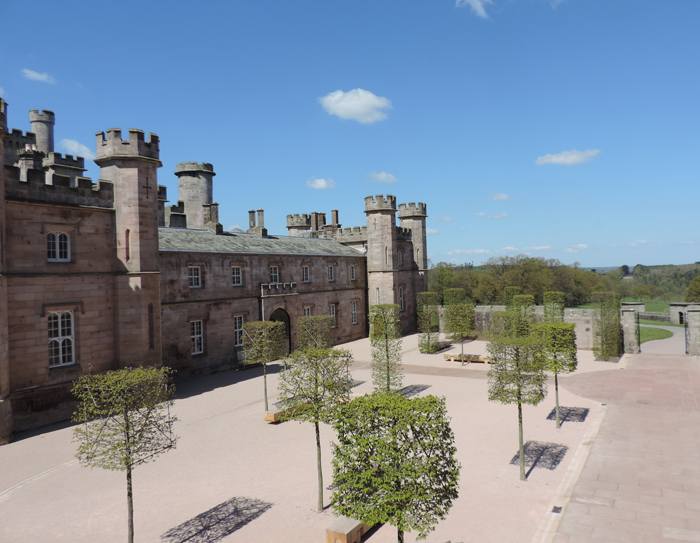 One of the inspirational moves behind the renovation at Lowther has been the appointment of Dan Pearson as consultant for the planting both within the Castle’s gardens and the courtyard design. 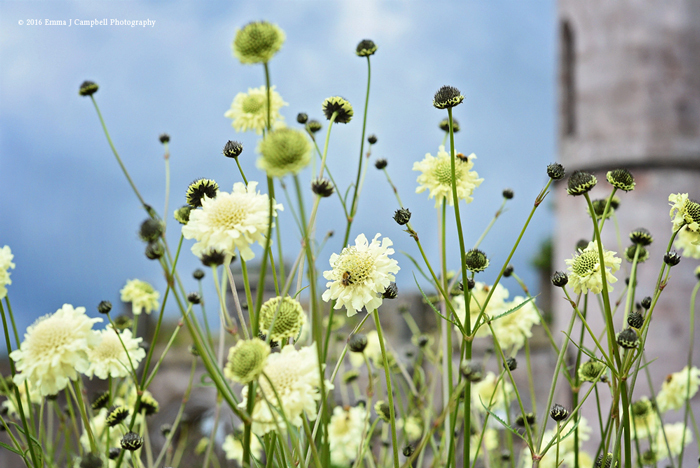 His parterre in front of the castle and planting within the castle ruins are developing into stunning masterpieces of garden design and perfectly in keeping with the mystery and romance of the setting. For the planting in the stable courtyard Martin points out that topiary hornbeams in standard box and full rectangular column forms are arranged in a broken grid, the grid also references a chess board where pieces face one another across the courtyard, as in a historic battle: “The four defined spaces within the courtyard provide flexible areas for visitor orientation, events, dining, seating, entrances and exit,” he explains. “The new trees provide shade and act as a wind buffer in this exposed location making it more suited to its contemporary use as a social space,” he adds. It works stunningly well. As Charlotte points out the aim is to make the courtyard a more usable space and I can see it being one of the favourite lingering places for visitors. I particularly liked the oak benches (just the right height for sitting) as well as the comforting wrapped space of the trees. The addition of tables and chairs enables dining outside and given the atmosphere of the courtyard I think this is going to be a very popular place. There is a nod to Thomas Mawson with a high backed bench taken from a design in one of his gardening books – Mawson is understood to have provided the designs for the Rose Garden, Lily Garden and Scented and Japanese Gardens on the estate though sadly little remains today. Martin points out that two small perennial beds have been created against the entrance walls into the courtyard for added interest. 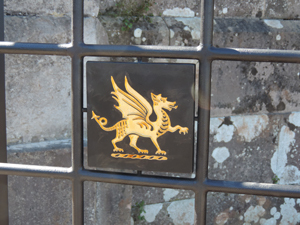 The new gates reinforce the grid formation and also offer an excellent background for the Lowther crest. “The Dan Pearson Studio created the design and the garden team implemented it with assistance from Dan and his team to mark the locations,” says Martin. “We created 2mx2m tree pits from a template co-ordinated off a central path. It took us nearly eight weeks of solid work as we also had to consider carefully how we carried out the hard landscaping and irrigation work,” he adds. 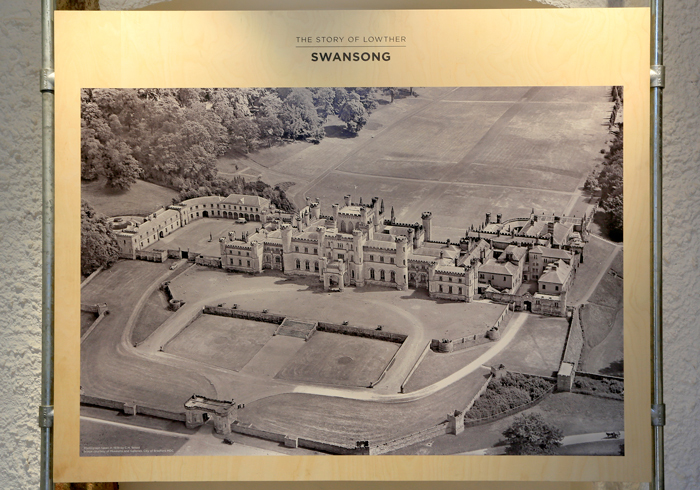 It also helped to have detailed Victorian drainage maps so that the team knew where the architectural features were. 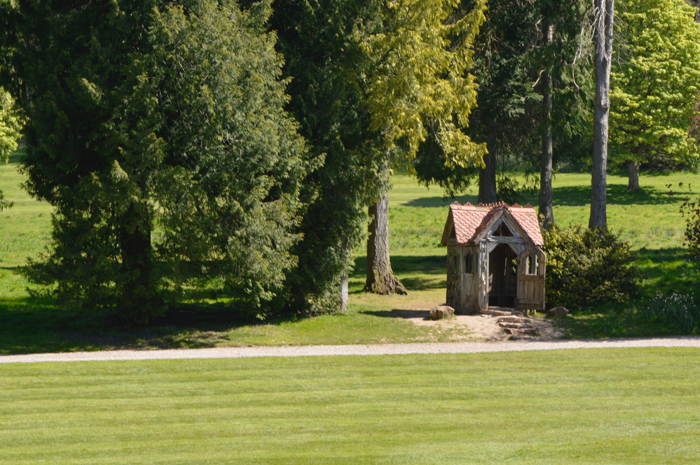 Plans for the coming months include the restoration of what was the rose garden (pictured above with Matilda’s Summerhouse) where it is hoped to restore and rebuild the water feature that was once a focal point of this part of the garden. Dan Pearson has been consulted to come up with a design and it is hoped that the rose garden will be finished for the summer of 2018. Martin’s enthusiasm for this special place is infectious and walking around Lowther with him is definitely a magical mystery tour. The Rock Garden is still very much intact and contains wonderful artefacts, but turn a corner and you may well come to another area with a layer of abandonment or indeed perhaps a new 21st century layer! He is also happy to take parties on guided tours subject to booking and garden commitments. The ‘Story of Lowther’ , a stunningly curated and visually inspiring narrative exhibition charts 850 years of Lowther history in words, pictures and theatre so now even if the Cumbrian weather decides to be unkind you can still find much of interest without going outside. Martin makes it clear that Lowther is not a restoration but a renovation project adding a 21st century layer to the centuries that have gone before. 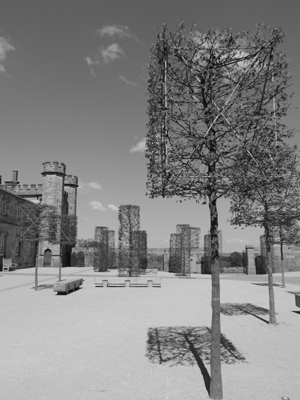 The original structure is providing the backbone for the garden as it evolves into the new millennium and while the gardens retain their original 17th century plan current planting and development will add that extra layer to the romance and mystery of this special landscape. 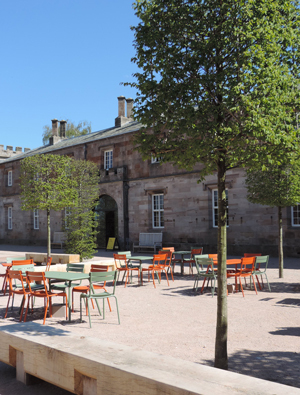 The new stable courtyard design will play an important role in the story of this intriguing place and provide a focal point in its welcome for visitors. Picture credits: All pictures are ©Reckless Gardener with the exception of ‘Swansong’ ©Lowther Estates and the former Rose Garden ©Susie White.